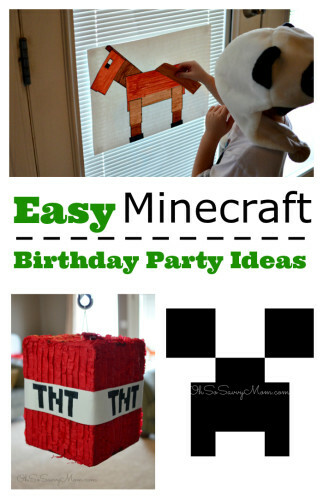 We’re not ones to spend a ton of money on birthday parties, so when my middle son asked for a Star Wars Birthday party, I began scouring my brain (and Pinterest) for Star Wars Birthday Party ideas. 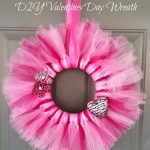 When shopping for parties, I try to keep the total cost of supplies under $50. Sometimes I don’t always hit this goal, but I try nonetheless. 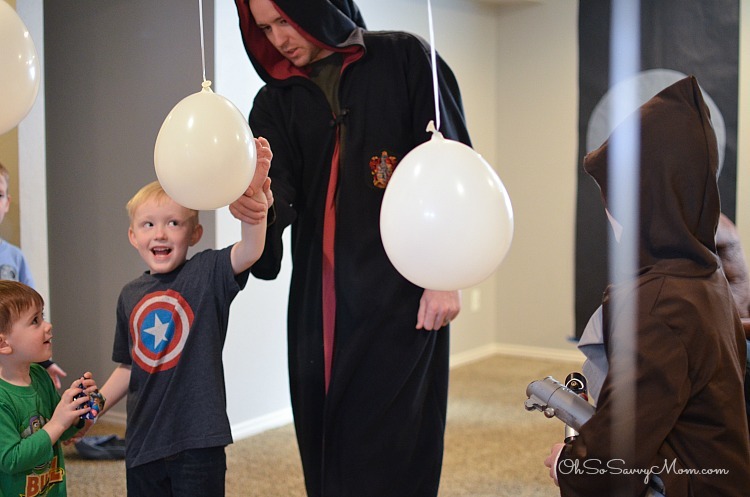 This Star Wars Birthday Party was one of the most frugal birthday parties I’ve thrown. I think I spent a total of $45 on the entire party! 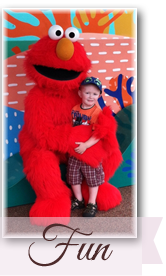 All the kids had an absolute blast! The Star Wars Jedi Training games that we set up just awed all the little 6 year olds. 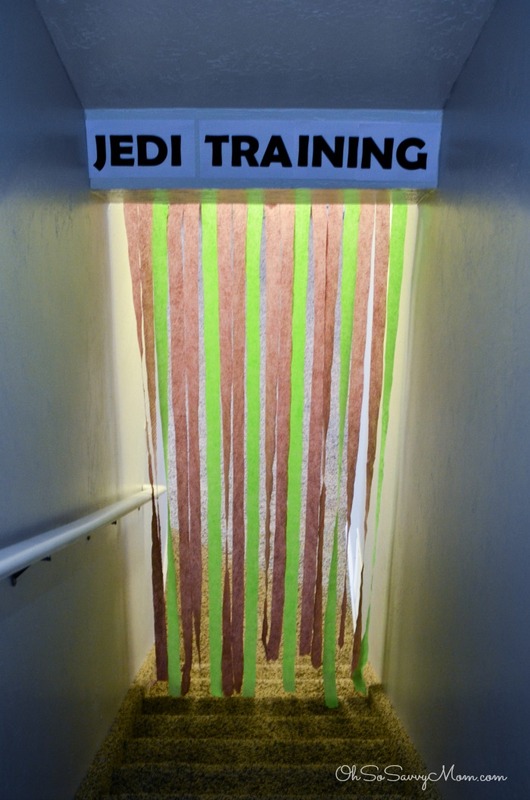 I purchased some green and brown streamers (Yoda colors) from Amazon, printed out a “Jedi Training” sign and hung them from the entrance to our basement, creating our Jedi Training Facility. The kids were practically peeing their pants when they saw this. My talented husband drew Storm Trooper faces on a few so they could practice repelling the evil Storm Troopers! We didn’t explain to the kiddos how static electricity creates this push and pull, so by the end of this they were all convinced they were Jedi prodigies. After teaching them to use the Force, we went over the basics of lightsaber handling. Using our DIY Pool Noodle Lightsabers, we paired them up and let them practice various hits and blocks. After they each had a chance to practice against one another we let them loose on the Storm Trooper balloons, and they hit them all down with their new-found lightsaber skills. 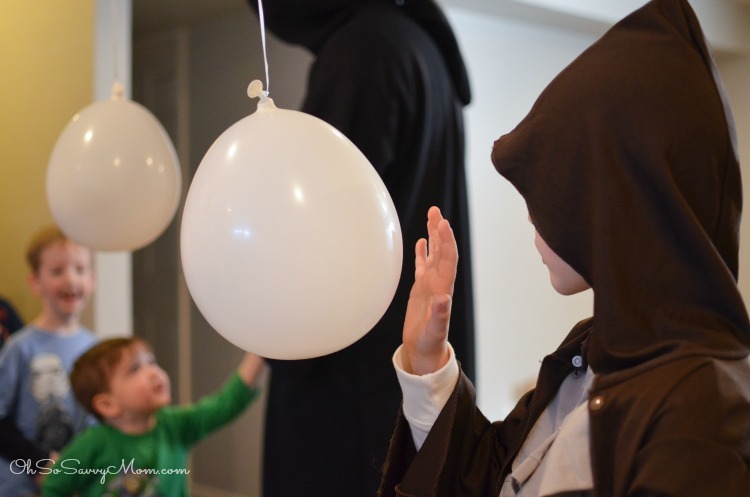 I’m proud to admit that this Star Wars Birthday Party game is my own personal creation. 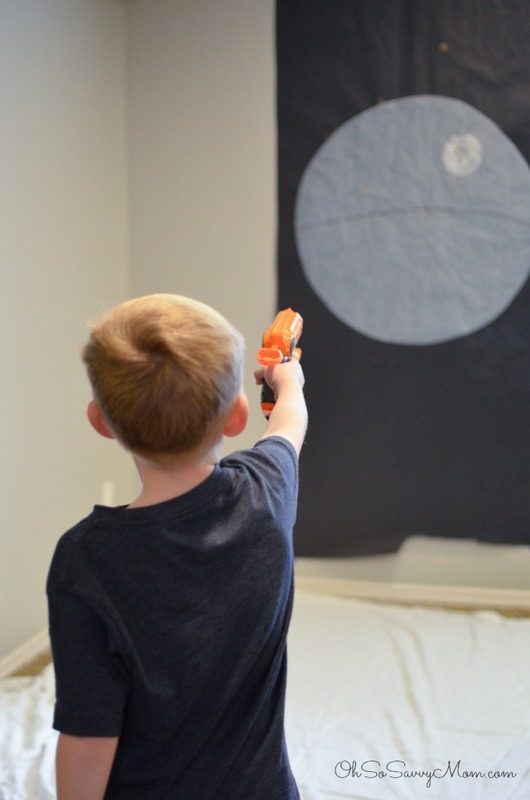 Shoot the Death Star is super easy to make (seriously, I never attempt anything that isn’t easy). I bought some black and gray butcher paper at the party store. Cut the gray into a large circle. Props to my 9 year old who drew all the Death Star detail. To play the game, we used NERF guns with the rubber tipped NERF bullets. The children stood in line and when it was their turn, I handed them a loaded NERF gun loaded with a bullet that had the tip dipped in washable yellow tempera paint. 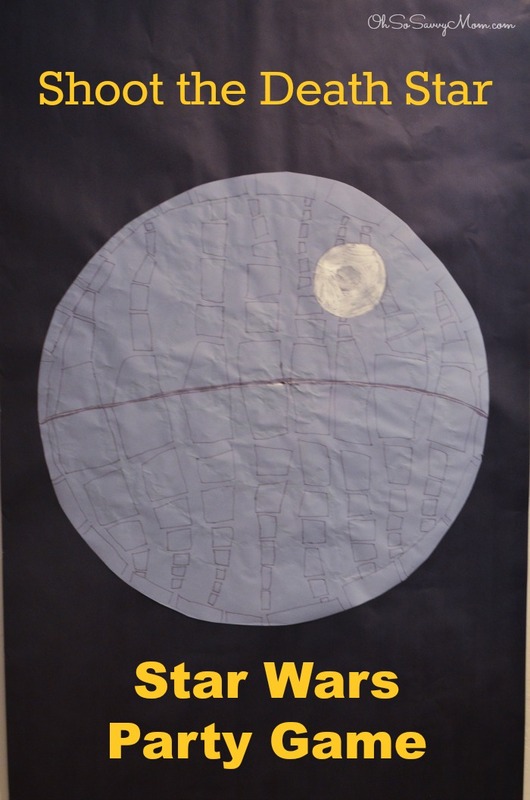 Despite the fact that tempera paint is washable, we wanted to avoid getting any on the carpet so we laid an old sheet down below the death star. You can make up a point system or just let it be fun. We just let them have at it with the goal of shooting the death star. 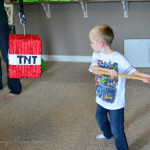 This one takes a bit more prep than my Minecraft Piñata, but it is still pretty simple to pull off. 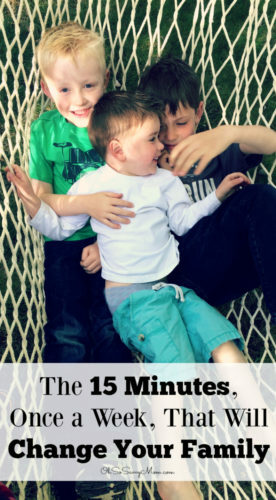 As I mention in the tutorial, we were super strapped for time so we just kind of threw it together. I’m sure, should you attempt it, you can make yours look even better than ours did. 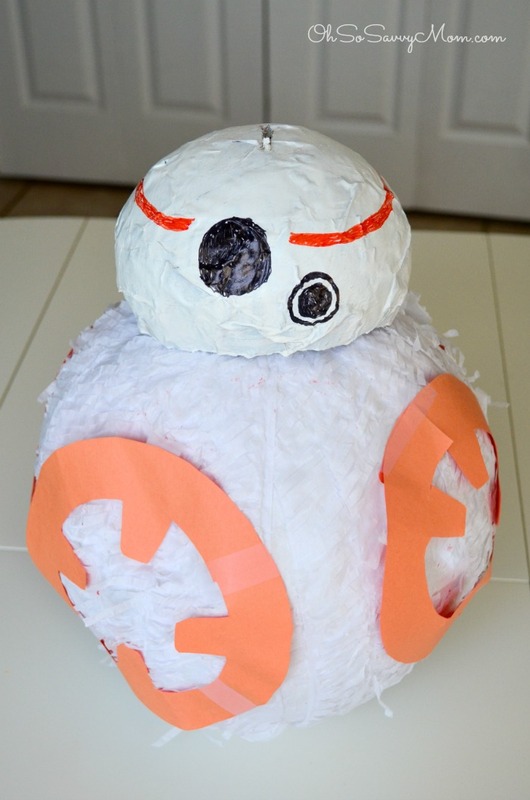 Get the DIY BB-8 Piñata tutorial here. 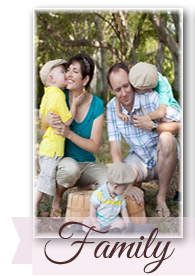 Okay, now these are just so cute! 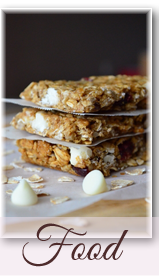 They require little to no prep. 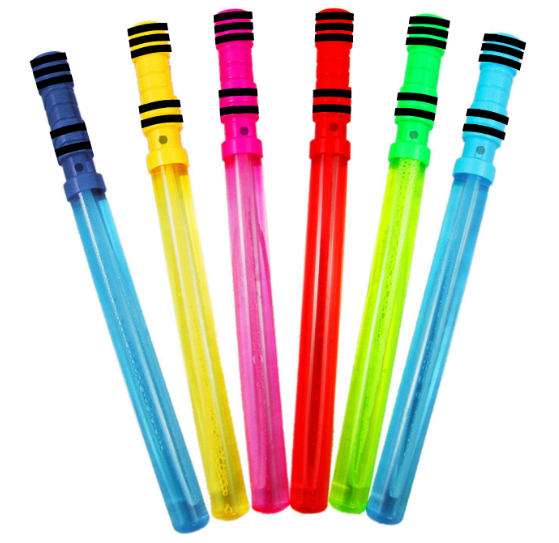 Star Wars Lightsaber bubble wands are the perfect party favor to send the kids home with! 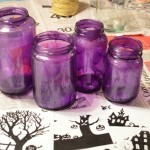 Simply purchase a pack of bubble wands, wrap the handles with a few stripes of black electrical or Washi tape, make a lightsaber “button” using sharpie marker. I admit, I did not get to take a picture of the lightsaber bubble wands before we gave them away, so I made an image to give you an idea of what they look like. 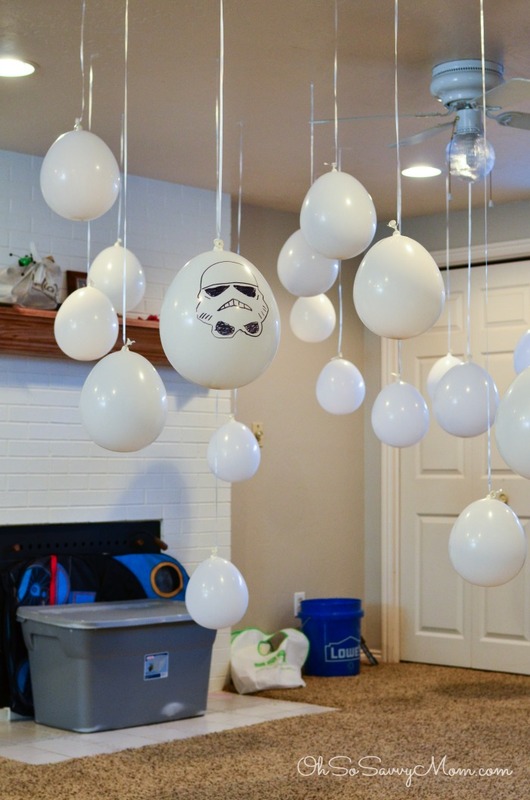 Hope you enjoyed these Star Wars Birthday Party Ideas! May The Force be with you. 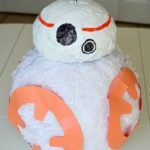 How to Make a BB-8 Piñata for Your Child’s Star Wars Birthday Party! 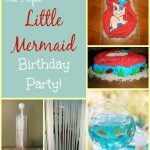 Your Little Princess will love these Little Mermaid Birthday Party Ideas! 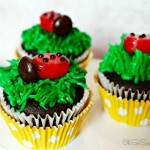 Ladybug Cupcakes Recipe + Cute as a Bug Ladybug Birthday Party Ideas! 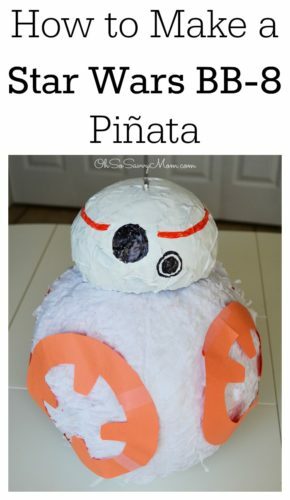 Previous PostHow to Make a BB-8 Piñata for Your Child’s Star Wars Birthday Party! 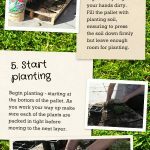 This really is a good idea. We have all sorts of Star Wars fans in my family!